© Kathleen McGinley. All rights reserved. 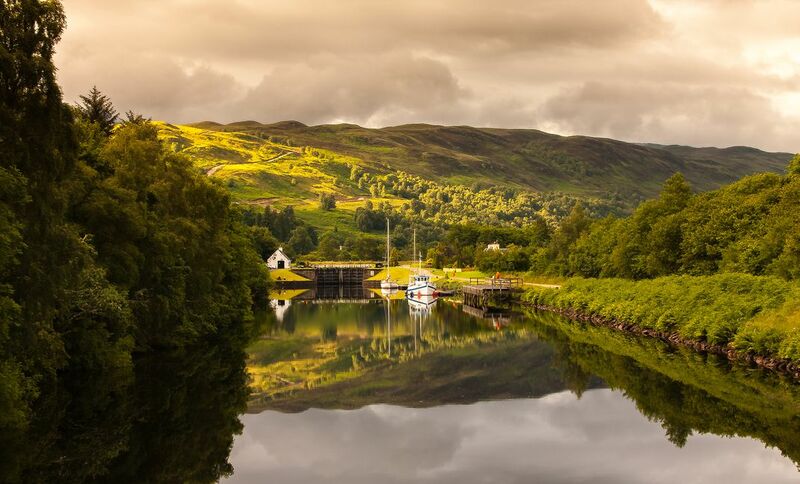 Cruising down the Caledonian Canal, you will go through a series of locks. The calmness of the canal clearly reflects the boats, boathouse, lock and trees that lined the approach to this particular lock. The lock master awaits the boat's line to hold the boat in place until the lock can be passed, it's an amazing manual process. Date Uploaded: Nov. 11, 2017, 4:31 p.m.